Who, or what is a "Crabby Granpa?" Well, long story short, he is my Dad, Don Drake. CG is a self-taught woodworker with a penchant for whimsy and a creative challenge. While age tends to mellow people, he readily admits that he earned his "Crabby" moniker early on. And thinking back, I think his crabbiness peaked around the same time my brothers and I were all teenagers — hmmm, coincidence? (Can you hear my eye-roll?). But with a studio full of wood working tools my Dad is (almost) always willing to help me out with whatever crazy project I dream up. If you've taken a class with me, you've probably seen, or even used, some of his tool stands. New tool stands are available in my Store now! 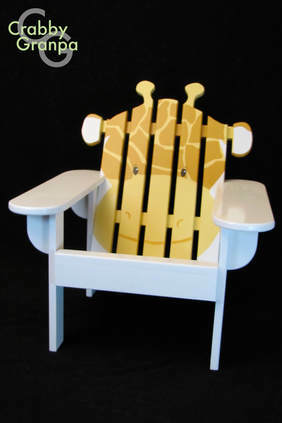 Child-size Hippo Adirondack Chair by Crabby Granpa. Approximately 30 inches high. 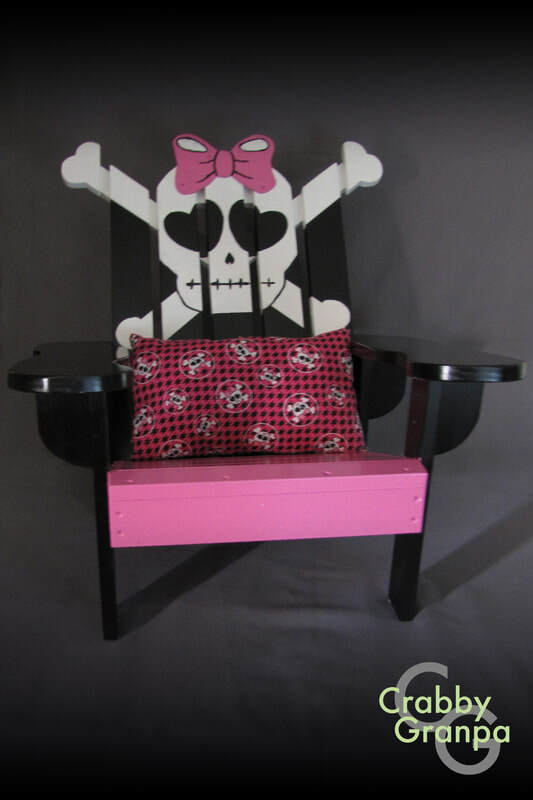 Child-size Pink Princess Lace-Patterned Chair by Crabby Granpa. Approximately 30 inches high. 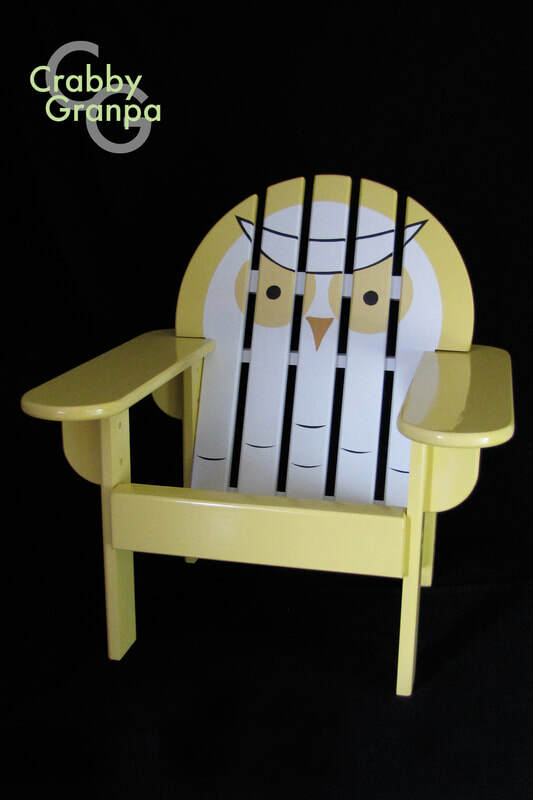 Child-size Life Preserver Ring Adirondack Chair by Crabby Granpa. Approximately 30 inches high. Child-size Turtle Adirondack Chair by Crabby Granpa. Approximately 30 inches high. 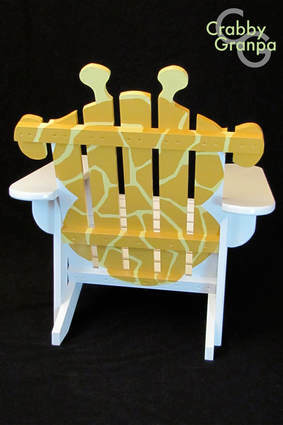 Child-size Giraffe Adirondack Chair by Crabby Granpa. Approximately 30 inches high. 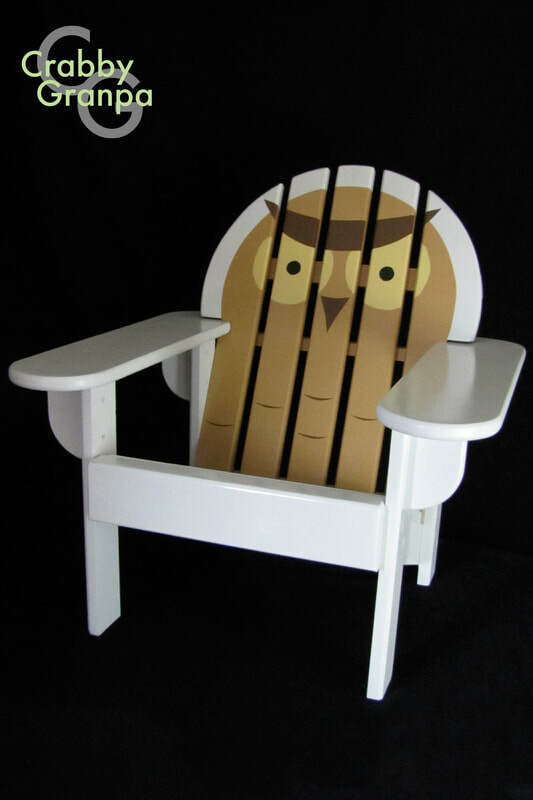 Child-size Lion Adirondack Chair by Crabby Granpa.